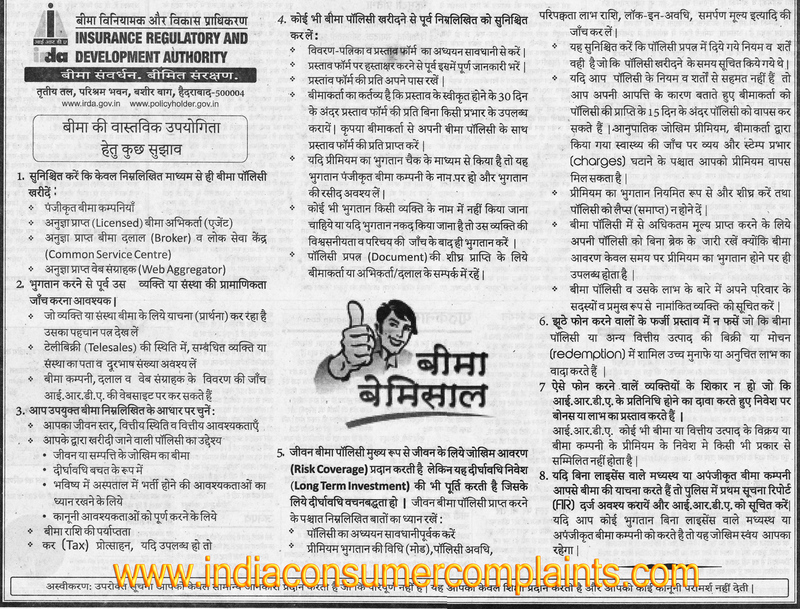 This document lists the procedure of filing complaint in consumer court/forum in New Delhi. The procedure is around the same in all states in India. Consumer courts are setup by state governments. Find here address list of Consumer courts in New Delhi state. You'll need to find your juridiction first. However you can go to any nearest court and find the address of consumer courts for your zone. The Indian oil corporation Ltd, Government of India Undertaking(hereinafter called the Corporation) shall loan to the consumer and the consumer shall take on loan from the Corporation cylinder(s) and pressure regulator(s)( hereinafter called the equipment). This article will throw light on how to file a complaint in HDFC Bank and the levels of complaint against any of it's services. You will also learn about complaint procedure as mandated by RBI. For other banks this procedure will be more of less same. Please find the all India Banking Ombudsman listing. You can as well download it in MSWord format and PDF format. There are plenty of consumers in India who use cellular, telephone or internet services in India but are not fully aware of the customer complaint redressal procedure laid out by government of India cell - TRAI. Telecom Regulatory Authority of India(TRAI) is a government body just like IRDA to oversee telecom regulations in India for the benefit of consumers. Getting cheated in broad daylight - how does it feel? Earlier I was duped by Vian Infrastructure. Just because I did a full search in internet about Vian Infrastructure after I gave them my cheques, I grew suspicious of them and immediately blocked some cheques. Nevertheless I did lose (only) Rs. 20,000. Did I say only Rs. 20,000? It left deep scar on me. It is the same I feel when I "made" to pay Re 1 for 50 Paise for MO form in postal department, 1/2 of which is pocketed by Post Office personnel – cheated in broad day-light. In short it hurts everybody who loses hard earned money.